Winter fat bike season is once again upon us as the leaves fall and temps become cooler. 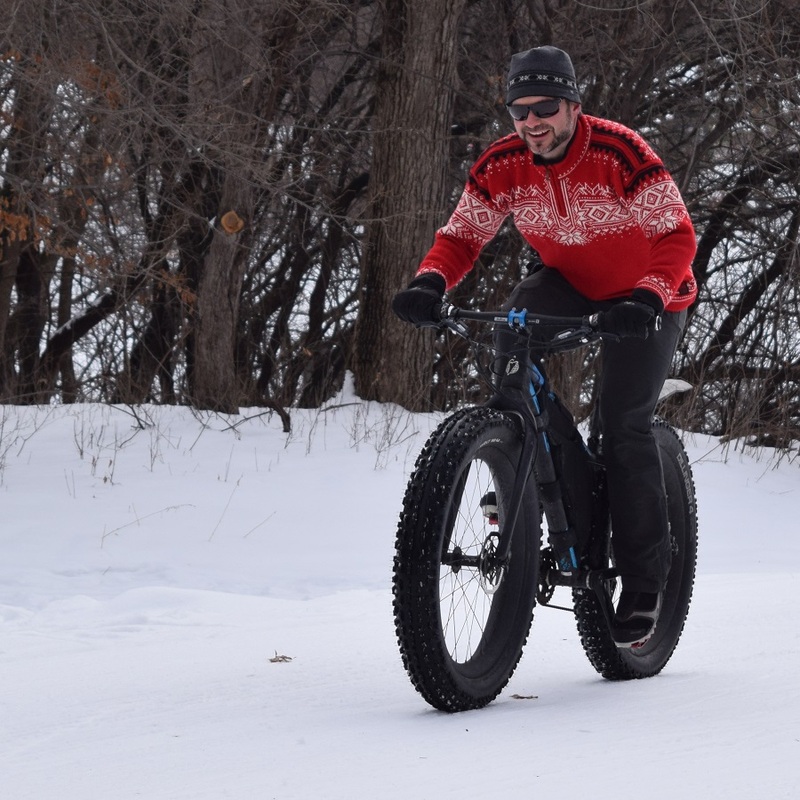 While riding a fat bike is much like riding a regular bike, there is a certain fat bike etiquette to keep in mind when you get out there on the trail this winter season for some fun. Everyone on the trail wants to have a good time and make memories in the bold north’s crisp clean air. Whether that’s biking, hiking snowboarding, skiing, riding a snowmobile, or snowshoeing, these are all valid activities. At the end of the day, for everyone to have a good time, you need to share the trail. These rules below not only keep everyone free from harm, but it also keeps it comfortable and fun for everyone. Ride on the firmest part of the track to prevent making a deep rut in the trail. These cuts more than a few inches are difficult, if not impossible, to repair. Stay as far right as possible on the trail. This is so that skiers, snowmobiles, etc. can pass on the left. Do not ride on the Nordic trails or classic trails. These trails are specifically groomed and tires that go across or over them ruin the trails and can cause problems for those people using them. Being respectful and sharing the trail is important for the enjoyment of everyone. Respect any closures or alternative days where bikers or skiers specifically have the trail. This is also important because if the trail is closed no one will be looking out for you if you fall. Plus, other trails might be closed or have maintenance going on. This can cause problems if you’re there. Wear reflective clothing and use lights or blinkers. This helps signal to others where you are from a distance. Skiers and snowmobiles travel quickly and seeing you as far away as possible can help them change their route so there is no collision or problems that will arise. Consider donating to the shared trails to help cover the cost of maintenance. It takes people to keep the trails well groomed and ready for people to ride, ski, or hike on them. A donation can go a long way to keeping that trail ready for when you want to use it again. If you are riding in a group, do not ride side by side. This makes it hard for anyone passing by to get through or weave around. It also can block up the trail. 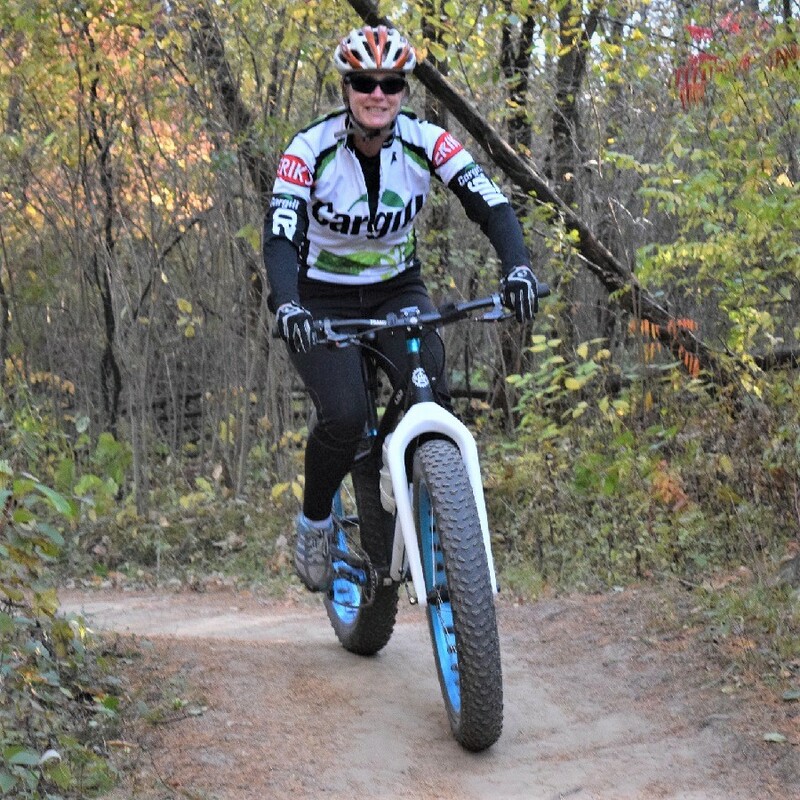 Many general rules of the fat bike trail are the same as mountain biking or riding on regular trails. However, there is a major difference to keep in mind in addition to the general rules of the trail. Understand ice travel and how to do it safely. Riding in the winter means riding on top of ice and snow. Throughout the winter there will be times where it’s warmer or colder out which can affect the ground beneath your tires. Know how to deal with this. Many people also ride on top of the frozen water. Riding across a frozen lake or river can be extremely dangerous if the ice were to crack. Learn how thick the ice needs to be to carry your weight, plus your bike when venturing across frozen waters. Always bring items with you that can help in case you’re in a situation when the ice does break from under you. International Mountain Bicycling Association recommends that ice picks and a length of rope should be taken along if riding on lakes or rivers. Practice fat bike etiquette, follow the rules of the trail and have fun. The International Mountain Bicycling Association (IMBA) developed the “Rules of the Trail” to promote responsible and courteous conduct on shared-use trails. Keep in mind that conventions for yielding and passing may vary in different locations, or with traffic conditions. This list is also on IMBA‘s website and on our Minnesota Bike/Hike Guide. Plan Ahead: Know your equipment, your ability and the area in which you are riding and prepare accordingly. Strive to be self-sufficient: keep your equipment in good repair and carry necessary supplies for changes in weather or other conditions. Let People Know: Make sure there’s at least one other person who knows where you’re headed, when and where you left from, and when you’re hoping to get back. Any things can happen on the trail and if something ever happened, it’s important that someone knows where you might be. Ride Open Trails: Respect trail and road closures — ask a land manager for clarification if you are uncertain about the status of a trail. Do not trespass on private land. Obtain permits or other authorization as required. Be aware that bicycles are not permitted in areas protected as state or federal Wilderness. This mean, you guessed it, check ahead of time! Leave No Trace: Be sensitive to the dirt beneath you. Wet and muddy trails are more vulnerable to damage than dry ones. When the trail is soft, consider other riding options. This also means staying on existing trails and not creating new ones. Don’t cut switchbacks. Be sure to pack out at least as much as you pack in. Control Your Bicycle: Inattention for even a moment could put yourself and others at risk. Obey all bicycle speed regulations and recommendations, and ride within your limits. Yield Appropriately: Do your utmost to let your fellow trail users know you’re coming — a friendly greeting or bell ring are good methods. Try to anticipate other trail users as you ride around corners. Bicyclists should yield to other non-motorized trail users unless the trail is clearly signed for bike-only travel. Bicyclists traveling downhill should yield to ones headed uphill unless the trail is clearly signed for one-way or downhill-only traffic. In general, strive to make each pass a safe and courteous one. Never Scare Animals: Animals are easily startled by an unannounced approach, a sudden movement or a loud noise. Give animals enough room and time to adjust to you. When passing horses, use special care and follow directions from the horseback riders (ask if uncertain). Running cattle and disturbing wildlife are serious offenses. Riding a trail system before it snows is advisable when possible. Also, always wear a helmet and appropriate safety gear. Search here for an IMBA Club to join and don’t forget to HaveFun! Jess Leong is a freelance writer for HaveFunBiking.com. 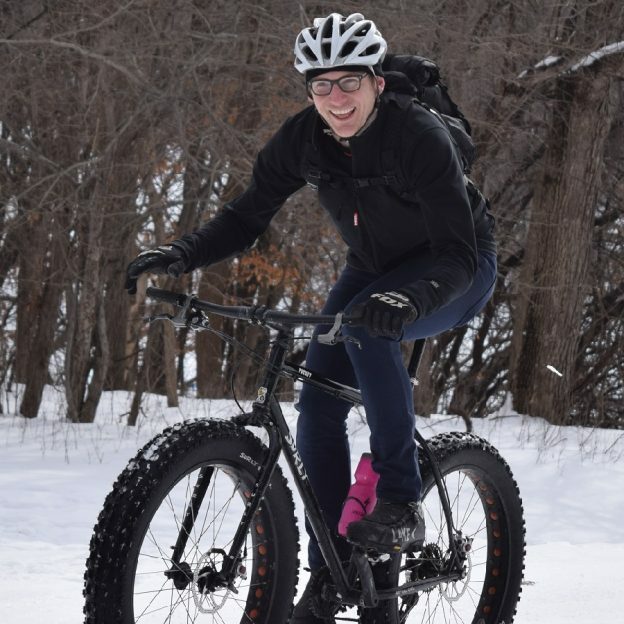 This entry was posted in News and tagged #mountainbiking, #nextadventure, #nextbikeadventure, #onlyinMN, #winterbiking, fat bike, fat bike etiquette, fat bike riding etiquette, fat biking, fat biking rules, how to stay safe in the winter while biking, IMBA, nordic trails, Riding in snow, rules, rules of the trail, trail riding, winter bike riding, winter riding on November 27, 2018 by Jess Leong. Have a fun Thanksgiving holiday with family and friends. 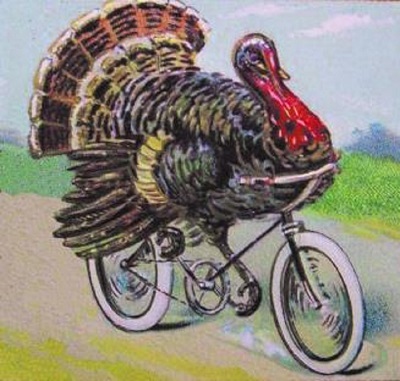 After that big turkey dinner, why not get on your bike and burn off a few calories before the desserts are served? Wishing everyone a happy and safe Thanksgiving with family and friends. As upper Midwest bike riders are changing their gear to winter activities, including fat biking, ice fishing, skiing, snowshoeing and other cold-weather sports, see all the places to explore in the new Minnesota Bike/Hike Guide, after the holidays! Now rolling into our 10th year as a bike tourism media, our goal is to continue to encourage more people to bike and have fun. While highlighting all the unforgettable places for you to ride. As we continue to showcase more place to have fun we hope the photos we shoot are worth a grin. As you scroll through the information and stories we have posted, enjoy. Do you have a fun bicycle related photo of yourself or someone you may know that we should post? If so, please send your picture(s) to editor@HaveFunBiking.com. Include a brief caption (for each), or who is in the photo (if you know?) and where the picture was taken. Photo(s) should be a minimum of 1,000 pixels wide or larger to be considered. If we do use your photo, you will receive photo credit and acknowledgment on Facebook and Instagram. As we continue to encourage more people to bike, please view our Destination section at HaveFunBiking.com for your next bike adventure – Also, check out the MN Bike Guide, now mobile friendly, as we enter into our 8th year of producing the guide. So bookmark HaveFunBiking.com and find your next adventure. And don’t forget to smile, while you are riding and having fun. We may capture you in one of the next photos that we post daily. 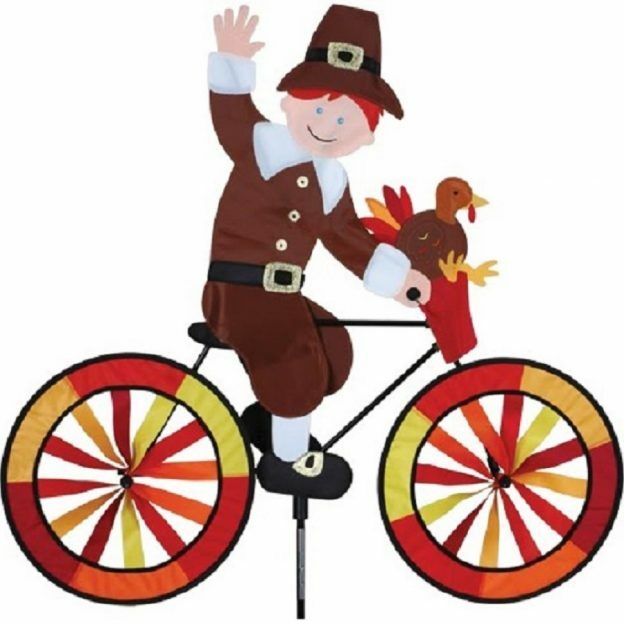 This entry was posted in Picture of the Day and tagged #givethanks, #nextadventure, #nextbikeadventure, #thanksgiving #turkeyburner, #turkey, #turkeyday, #TurkeyHoliday, Fall biking, holiday activities, memorable Thanksgiving!, pigrims, sharing memories on November 22, 2018 by Russ Lowthian. This bike pic Sunday, the photo here proves ice cream bring brings out the kid in the two biker dudes. This photo was captured at a rest stop along the Mesabi Trail, near Gilbert, MN. View the new National Bike Guide and all the fun rides coming up in 2018. Now rolling into our 11th year as a bike tourism media, our goal is to continue to encourage more people to bike and have fun. While highlighting all the unforgettable places for you to ride. As we continue to showcase more destinations you can have fun at we hope the photos we shoot are worth a grin. As you scroll through the information and stories we have posted, enjoy! Do you have a fun bicycle related photo of yourself or someone you may know that we should post? If so, please send your picture(s) to editor@HaveFunBiking.com. Include a brief caption (for each), of who is in the photo (if you know?) and where the picture was taken. Photo(s) should be a minimum of 1,000 pixels wide or larger, to be considered. If we do use your photo, you will receive photo credit and acknowledgment on Facebook and Instagram. 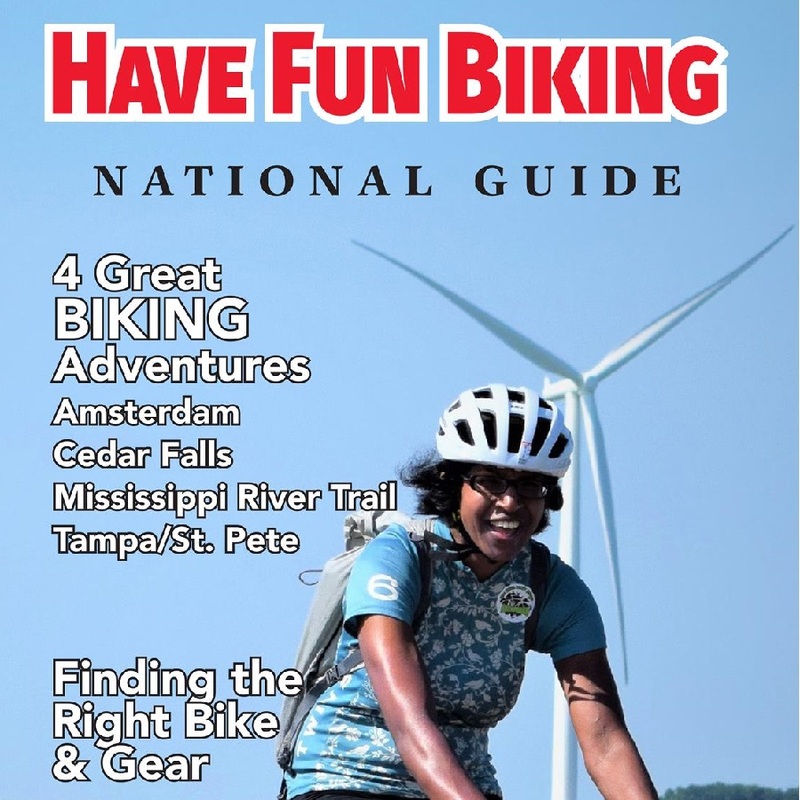 As we continue to encourage more people to bike, please view our Destination section at HaveFunBiking.com for your next bike adventure – Also, check out the latest Bike Guide, mobile-friendly as we enter into our 9th year of producing print and digital guides. So bookmark HaveFunBiking.com and find your next adventure. Please share all our pic’s with your friends and don’t forget to smile. We may be around the next corner with an HFB camera ready to document your next move while you are riding and having fun. Capturing you in one of our next ‘Pic of the Day’ posts. Have a great day and a memorable new year! This entry was posted in Picture of the Day and tagged #nextadventure, bike guide, Bike Ride, Gilbert MN, ice cream, Ice cream smiles, Ice Cream Smiles Sunday, Mesabi Trails, Minnesota, Minnesota Bike Guide, pic of the day, Road bike Minnesota, sunday fun day, sunday smiles on September 16, 2018 by Russ Lowthian. On this bike pic Sunday, you have to wonder who your friends are when you are carrying two bowls of strawberry shortcake with an ice cream topping. This picture was shot on this year’s RAGBRAI bike tour. This entry was posted in Picture of the Day and tagged #nextadventure, bike guide, Bike Iowa, Bike Ride, ice cream, Ice cream smiles, Ice Cream Smiles Sunday, Iowa bike guide, pic of the day, RAGBRAI, Road bike Iowa, sunday fun day, sunday smiles on September 9, 2018 by Russ Lowthian. 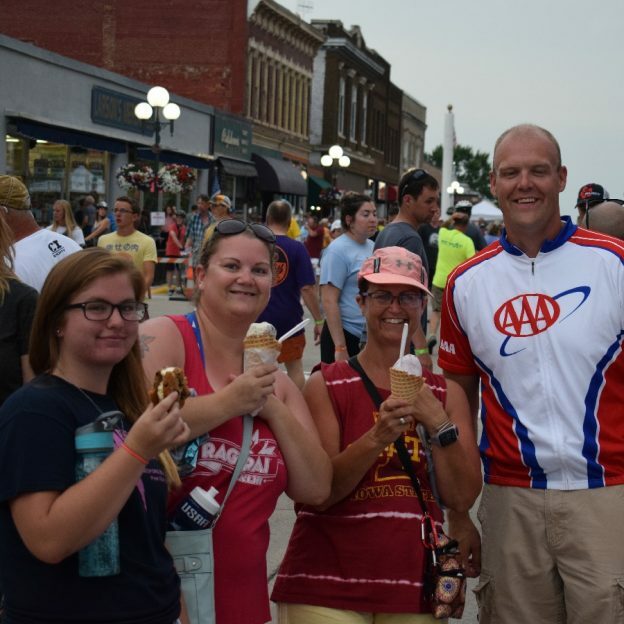 Sharing an ice cream treats with friends after a hard days ride, in front of the AAA – The Auto Club Group’s booth, on the Register’s Annual Great Bicycle Ride Across Iowa (RAGBRAI). 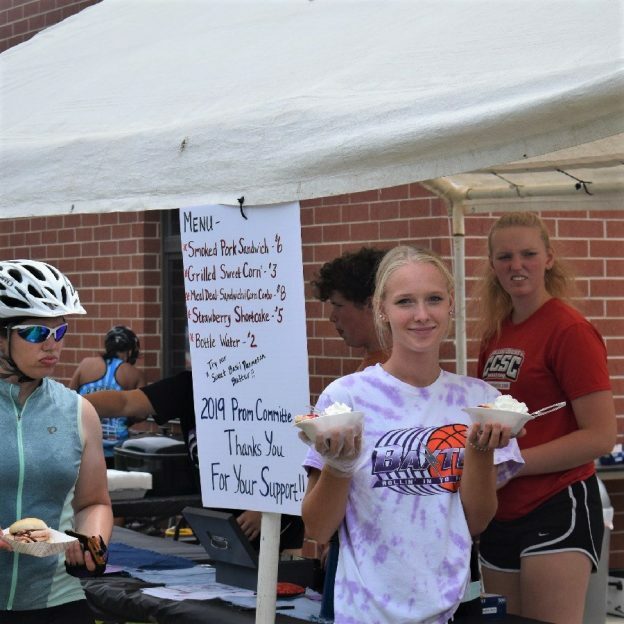 This year’s bike tour started in Onawa finished in Davenport for a total of 428 miles. This entry was posted in Picture of the Day and tagged #nextadventure, bike guide, Bike Iowa, Bike Ride, ice cream, Ice cream smiles, Ice Cream Smiles Sunday, Iowa bike guide, pic of the day, RAGBRAI, Road bike Iowa, sunday fun day, sunday smiles on September 2, 2018 by Russ Lowthian. In this bike pic, I scream, you scream, we all scream for ice cream! It’s an ice cream sundae smilin’ Sunday again! This weeks pic features a different type of ice cream though, chocolate chip cookie sundae sandwich! Get out there and try one for yourself. They are DELICIOUS! Planning your #NextBikeAdventure? View the new Iowa or Minnesota Bike/Hike Guide. Do you have a fun bicycle related photo of yourself or someone you may know that we should post? If so, please send your picture(s) to: editor@HaveFunBiking.com. Include a brief caption (for each), of who is in the photo (if you know?) and where the picture was taken. Photo(s) should be a minimum of 1,000 pixels wide or larger to be considered. If we do use your photo, you will receive photo credit and acknowledgment on Facebook and Instagram. As we continues to encourage more people to bike, please view our Destination section at HaveFunBiking.com for your next bike adventure – Also, check out the MN Bike Guide, now mobile friendly, as we enter into our 8th year of producing the guide. So bookmark HaveFunBiking.com and find your next adventure. Please share all our picks with your friends and don’t forget to smile. We may be around the next corner with one of our camera’s ready to document your next move while you are riding and having fun. We may capture you in one of our next Pic of the Day posts. This entry was posted in Picture of the Day and tagged #icecream, #icecreamsmiles, #nextadventure, #nextbikeadventure, #picofday, #picoftheday, #ridemybicycle, #ridemybike, #sundayfunday, #sundaysmiles, Bike Guide Minnesota, Bike Guide MN, bike maps, Ice cream smiles, Minnesota Bike Guide, Minnesota bike maps, Ride My Bicycle, Ride My Bike on August 12, 2018 by Stephanie Hunt. On this Bike Pic Sunday,, selecting the right ice cream treat is sometimes hard to do. 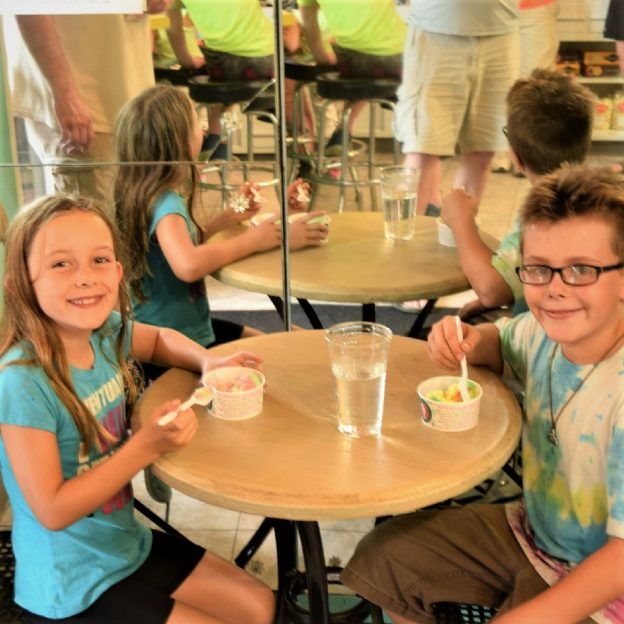 Here these siblings on a family bike outing found their special flavors to enjoy and stay cool. View the new National Bike Guide and all the fun rides still to come this summer. Do you have a fun bicycle related photo of yourself or someone you may know that we should post? If so, please send your picture(s) to: editor@HaveFunBiking.com. Include a brief caption (for each), of who is in the photo (if you know?) and where the picture was taken. Photo(s) should be a minimum of 1,000 pixels wide or larger, to be considered. If we do use your photo, you will receive photo credit and acknowledgment on Facebook and Instagram. As we continues to encourage more people to bike, please view our Destination section at HaveFunBiking.com for your next bike adventure – Also, check out the latest Bike Guide, mobile friendly as we enter into our 9th year of producing print and digital guides. So bookmark HaveFunBiking.com and find your next adventure. Please share all our pic’s with your friends and don’t forget to smile. We may be around the next corner with a HFB camera ready to document your next move while you are riding and having fun. Capturing you in one of our next ‘Pic of the Day’ posts. Have a great day and a memorable summer of Ice cream smiles Sunday’s! This entry was posted in Picture of the Day and tagged #nextadventure, bike guide, Bike Ride, ice cream, ice cream sandwich, Ice cream smiles, Ice Cream Smiles Sunday, Iowa bike guide, Minnesota Bike Guide, pic of the day, sunday fun day, sunday smiles on July 1, 2018 by Russ Lowthian. 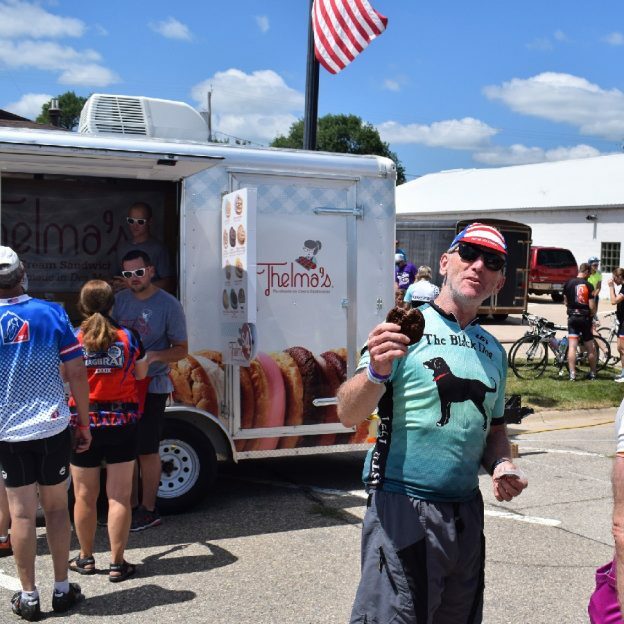 Selecting the right ice cream treat is sometimes hard to do, with so many options, when pulling into a RAGBRAI (Register’s Annual Great Bicycle Ride Across Iowa) town. This year’s bike tour starts in Onawa, then to Denison, Jefferson, Ames, Newton, Sigourney, Iowa City and finishing in Davenport for a total of 428 miles. This entry was posted in Picture of the Day and tagged #nextadventure, bike guide, Bike Iowa, Bike Ride, country fresh pie, ice cream, ice cream sandwich, Ice cream smiles, Ice Cream Smiles Sunday, Iowa bike guide, pic of the day, pie and ice cream, pie trail, RAGBRAI, Road bike Iowa, sunday fun day, sunday smiles, Thelma's Handmade Ice Cream Sandwiches on June 24, 2018 by Russ Lowthian. 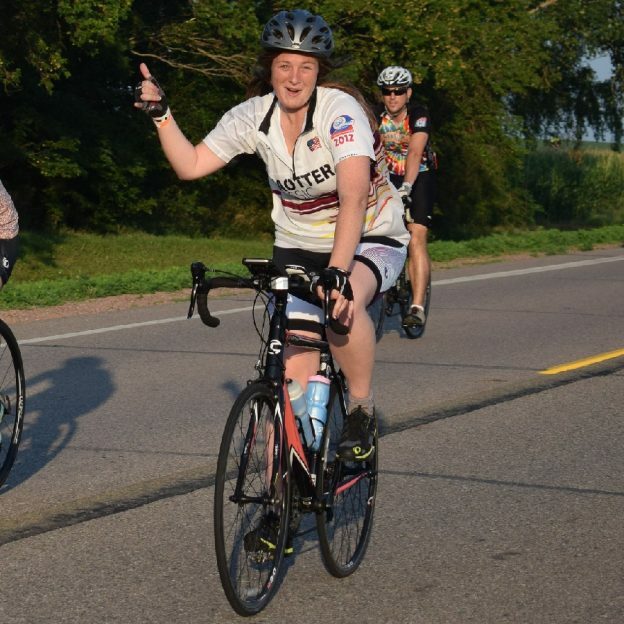 Here is today’s ‘Yeah its Friday Bike Pic’ were we caught this biker chick from last year’s RAGBRAI (Register’s Annual Great Bicycle Ride Across Iowa) having a good time. This year’s bike tour starts in Onawa, then to Denison, Jefferson, Ames, Newton, Sigourney, Iowa City and finishing in Davenport for a total of 428 miles. What better way to start your riding season fun then to plan your #NextBikeAdventure for 2018. View all the great ideas and bike destinations in the latest Minnesota Bike/Hike Guide. Then plan your next outing with family and friends in one of the HaveFunBiking Destinations. This entry was posted in Picture of the Day and tagged #nextadventure, bike guide, Bike Iowa, Bike Ride, biker chick, Friday fun, Iowa bike guide, pic of the day, RAGBRAI, Road bike Iowa, yeah its Friday on June 22, 2018 by Russ Lowthian. 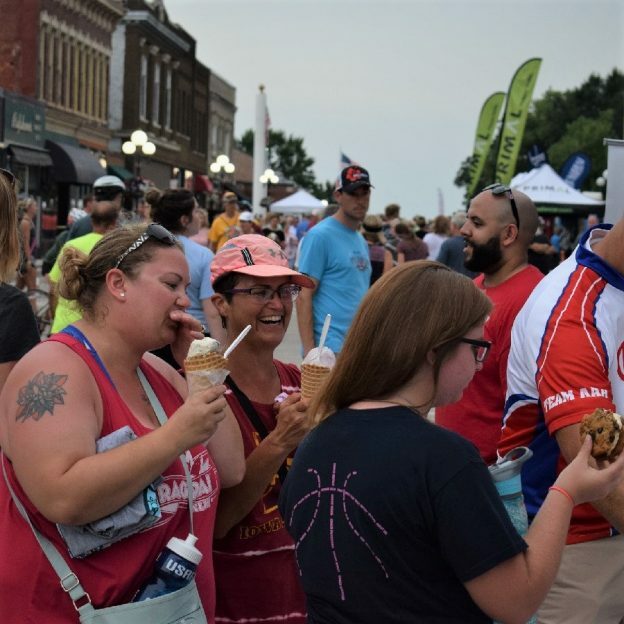 Sharing an ice cream treats with friends after a hard days ride, in front of the AAA – The Auto Club Group’s booth, on the Register’s Annual Great Bicycle Ride Across Iowa (RAGBRAI). This year’s bike tour starts in Onawa, then to Denison, Jefferson, Ames, Newton, Sigourney, Iowa City and finishing in Davenport for a total of 428 miles. This entry was posted in Picture of the Day and tagged #nextadventure, bike guide, Bike Iowa, Bike Ride, country fresh pie, ice cream, ice cream sandwich, Ice cream smiles, Ice Cream Smiles Sunday, Iowa bike guide, pic of the day, pie and ice cream, pie trail, RAGBRAI, Road bike Iowa, sunday fun day, sunday smiles on June 10, 2018 by Russ Lowthian.